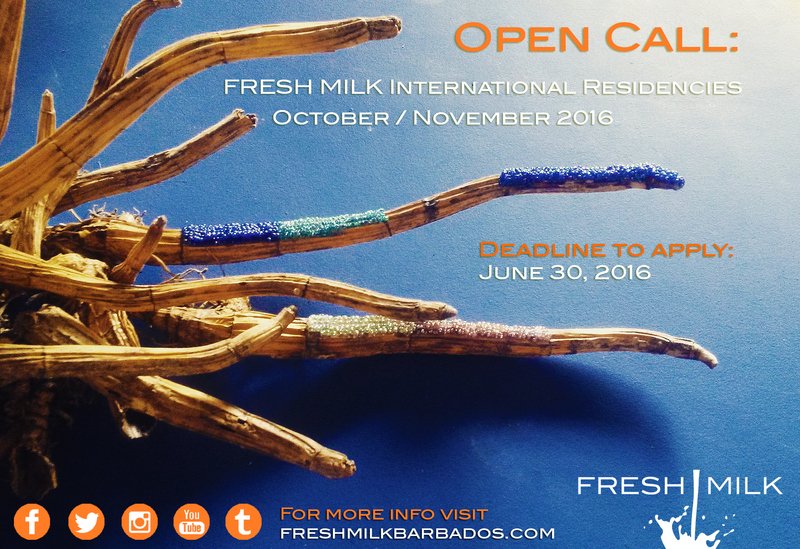 FRESH MILK is seeking proposals from artists working outside of Barbados to apply for our international residency programme in October and November 2016. Available dates for the residencies to take place are between October 3 – 28, 2016 and October 31 – November 25, 2016. This residency aims to support visual artists working in a variety of media, writers and curators by offering a peaceful working space for a minimum of 4 weeks for creative production, the opportunity to interface with contemporary practitioners living and working in Barbados, access to the on-site Colleen Lewis Reading Room, the chance to broaden understanding of the work being produced locally and regionally in the Caribbean, and to strengthen international networks and relationships. For more information on the residency, application process and associated costs, please visit our International Residency Opportunity page.